This paper summarizes the information concerning the Iranian, and Hezbollah, presence and activities in Africa and attempts to evaluate the importance of Africa in the overall Iranian strategy to advance its “global power” ambitions, to balance the pressure of the international community on its nuclear project and prepare the ground for subversive and terrorist responses in case of crippling sanctions or a military strike at its nuclear facilities. Since President Ahmadinejad’s inauguration in 2005, Iran’s foreign policy focus has shifted from Africa to Latin America in order, as he put it, to “counter lasso” the U.S.. This change accelerated after Ahmadinejad’s 2007 visits to Venezuela, Nicaragua, Ecuador and Bolivia and the International Conference on Latin America held in Tehran in February 2007, where Iran’s Foreign Minister, Mehdi Mostafavi, announced the opening of embassies in Chile, Colombia, Ecuador, Nicaragua, and Uruguay and a representative office in Bolivia. This strategy seemed to be driven by the opportunity President Chavez gave Iran to build an anti-American axis with Venezuela and its “Bolivarian” allies in the backyard of the United States. However, Iran did not abandon its “great power” ambition to enhance its presence and influence in Africa, in the backyard of Western Europe, possibly to balance the growing European pressure on its nuclear program. Addressing a group of Iranian ambassadors to African countries in December 2011, Deputy Foreign Minister for Arab and African Affairs Hossein Amir-Abdollahian underlined that Iran attaches major significance to the expansion of ties with all African nations “in the strategic continent and in Muslim states in particular.” He emphasized that the promotion of ties with African states is a major priority for Iran’s President Ahmadinejad, who has agreed to provide African nations with essential resources to facilitate their development and progress. Amir-Abdollahiancalled on the Iranian ambassadors to speed up the implementation of ongoing Iranian cultural, economic and commercial projects based in Africa. Earlier in June, in a meeting with former Malian President Alpha OumarKonare, President Ahmadinejad expressed Tehran’s readiness to launch a joint fund with Africa. In January 2012 Iranian Foreign Minister Ali Akbar Salehi underlined that bolstering ties with African countries is a top priority of the Islamic Republic’s foreign policy on the background of the pressures imposed by the West to undermine Iran’s progress. The reasons behind Iran’s activity on the African continent are to be found in attempts by the international community to isolate it. Iran has moved to find access to African markets to which it can export oil and other goods, and from which it can import strategic resources. The diplomatic support of African states in the United Nations (UN) has also been a strong motivation for Iran to keep African Governments close. Tehran’s efforts to boost ties and cooperation with Africa have recently led to its acceptance as an observing member of the African Union (AU), where it has shown an active presence in the AU summit meetings. The importance of Africa in Iran’s strategic thinking was displayed by its hosting of a two-day Iran-Africa summit in Tehran on September 14-15, 2010, which brought heads of state, diplomats, business leaders and cultural representatives from over 40 African nations to Iran to discuss a range of issues. The threat of new sanctions against Iranian oil exports has forced Iran to diversify its oil exports to include growing economies in Africa, which also helps other forms of economic, diplomatic and security cooperation with the continent. Nigeria for instance, by gaining access to Iranian oil would be able to export its own oil to other markets. Like in Latin America, Iran has promised to build energy infrastructure in several African countries: to refurbish refineries, to assist in the construction of power plants and even to share its civil nuclear technology. In the commercial field, Iran has shown interest in purchasing cocoa from Ghana. One relatively successful project has been the establishment of an Iranian car manufacturing business in Senegal for production of local cabs. The export of cars to Senegal and Sudan helps sustain the cost for Iran’s own internal automobile industry. The stressing of cultural proximity to the Islamic population of certain regions of Africa have allowed Iran to position itself as an alternative to what it refers to as the neo-colonial mindsets and imperialist intentions of the West. “I said Iran is near us, is getting nearer by each day. I am not referring to bilateral relations, important though these are. I am referring to the ineluctable fate that binds Iran to the rest of the world, including us, especially us. She is Third World, which we are. She is anti-imperialist, which we are,”claimed an op-ed in Zimbabwe’s most popular daily newspaper. Finally, Iran is determined to counter the diplomatic and economic activities of its arch-enemy Israel, which has a history of strong diplomatic, economic and security relations with sub-Saharan Africa, and compete with Egypt, an important regional rivalwith a long tradition of relations with Africa. The “dark side” of Iran’s Africa policy is its attempts to extract uranium from African nations. During a visit to Teheran in March 2011, Zimbabwe’s Foreign Minister, SimbarasheMumbengegwi, said his country is willing to cooperate with Iran on uranium mining. 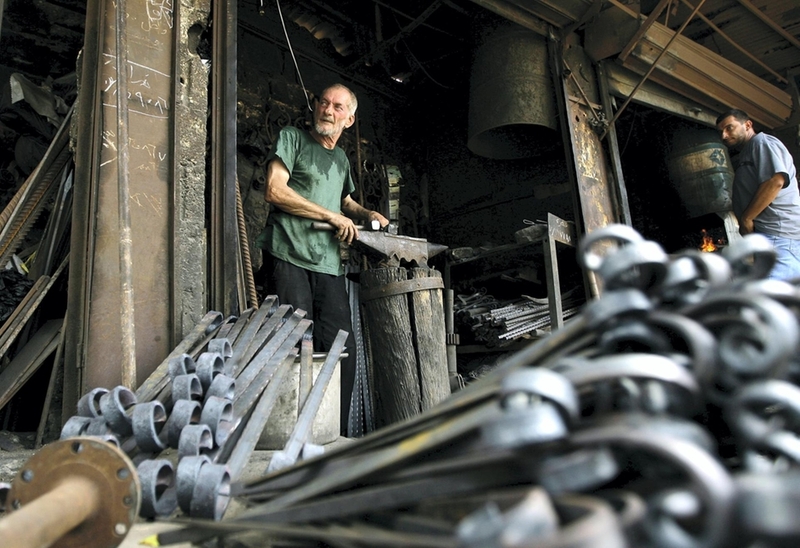 “Zimbabwe has rich uranium reserves,” he said, “but is faced with a shortage of funds and does not possess the technical knowledge and equipment needed for extracting rich uranium ore […] If we can work together on uranium mining, it will improve the economic situation of both countries.” In April 2011, the Sunday Telegraph reported that Iran had struck a secret deal with Zimbabwe to mine its uranium reserves in return for supplying oil. Iran has also tried to establish a strategic relationship with Niger, one of Africa’s most important uranium producers, but these attempts failed when former President MamadouTanja was removed from power during a coup in 2010. In 2005, Tanzania stopped a ship that was found to be carrying uranium from the Democratic Republic of Congo to Iran. In 2009 the UN reported that Iran had struck a deal with Somali rebels in which it would deliver certain weapons to these rebels in return for access to uranium reserves in Somali areas under the rebels’ control. Eritrean President Isaias Afewerki visited Tehran in December 2008, and Ahmadinejad went to Djibouti in February 2009, where he signed five cooperation agreements with his Djiboutian counterpart. Iran is engaged lately in high level contacts with the leaders of Kenya, Uganda, Tanzania and the Comoro Islands while contacts with Ethiopia have been occurring at a lower level. Kenya’s government stated that is looking forward for Iranian investments. According to a statement issued by the Iranian Red Crescent Society (RC), Iran’s third polyclinic in Kenya will be opened in Mombasa in the near future. Iran has already set up two polyclinics in the capital city of Nairobi. The Iranian Speaker of the Parliament, Ali Larijani, met in Tehran with former Tanzanian president, Ali Hassan Mwinyi, and with the Speaker of the Tanzanian House of Representative, PanduAmeirKificho, who attended the Fifth International Conference on the Palestinian Intifada. On that occasion, Larijani maintained that the development of relations with Africa was one of Iran’s priorities. “Sudan is the pivot of Iran-Africa relations,” and “expanding ties with African nations is high on Iran’s foreign policy agenda,”said Iranian Defense Minister Mostafa Mohammad Najjar in Khartoum during a four-day official visit in March 2008. He explained that “religious and cultural affinities between the two countries and a common understanding of major regional and global issues significantly contribute to the expansion of Iran-Sudan relations.”The Sudanese counterpart, Gen. Abdelrahim Mohamed Hussein called Najjar’s visit to Sudan a “turning point” in Iran-Sudan defense ties. Sudan has strengthened its relationship with the Islamic Republic since 1989, when Brigadier Omar al-Bashir took power in Sudan in an Islamist coup. Iran sent weapons and oil supplies and some 2000 Iranian Revolutionary Guard Corps (IRGC) advisors to train Bashir’s army shortly after the revolution. Four years later Iran provided Sudan valuable military support in armored cars, heavy artillery, and radar equipment. In fact, the entire organization and doctrine of the Sudanese Popular Defense Force (PDF) is based on the concept of popular mobilization of the IRGC. This pushed Sudan and Iran in recent years to increase their bilateral economic, military, and nuclear cooperation. In March 2008, the two countries signed a mutual defense agreement, “providing for consolidated defense ties and joint efforts to strengthen peace and security in the Horn of Africa,” including training for Sudanese army and intelligence officers in Iran. Iran is engaged in several development projects in Sudan, including a $30 million water treatment project and a $130 million electrical production project. Thus Sudan has become central to Iranian foreign relations in the Horn of Africa. In late October 2010, Nigerian officials seized in Lagos’ Apapa Port thirteen shipping containers of weapons, including artillery rockets, rifle rounds and arms. The seizure came after a twin car bombing on October 1, 2010 (Nigeria’s Independence Day) in Abuja, which killed at least twelve people and sparked new concerns, as Nigeria presidential elections were set to be held in April 2011. The investigation proved that theshipment originated in the Iranian port Bandar Abbas and its final destination was Gambia. The Iranian authorities confirmed that the consignment originated in Iran.Nigeria reported the seizure to the United Nations Security Council. Several men were put on trialin Nigeria in connection with the seizure of the cargo:AzimAghajani, an alleged Iranian Revolutionary Guard member, and three Nigerian suspects. A few weeks after the seizure of the weapons’ cargo,Nigeria’s drug enforcement agency captured in Lagos 30 kilograms of high-quality heroinworth nearly $10 million inside a shipment of auto parts sent from Iran and with Europe as its final destination. Iran and Gambia enjoyed a good diplomatic and economic relationship, a mutual understanding in foreign policy base on “shared feeling of oppression from the West: Iran under sanctions for its nuclear program and Gambia accused of human rights abuses.” In November 2009 Ahmadinejad visited Gambia to strengthen ties. In November 2010, in reaction to the weapons shipment, the Gambian government cut diplomatic ties with Iran and asked the Iranian diplomats to leave the country within 48 hours. “All Government of Gambia projects and programs, that were being implemented in cooperation with the government of the Islamic Republic of Iran have been cancelled,” the Gambian Foreign Ministry stated. Iran admitted that it had shipped the thirteen containersto Gambia as part of a confidential agreement signed three years before, and that the goods seized were the third of such shipments. Gambian President Jammehrefused to take responsibility for the cache of weapons. The Economist has noted that Senegal, though poor and quite small in population, carries diplomatic weight in Francophone Africa and at the UN, so “Iran has been bombarding it with goodwill” by building the Khodro car factory, promising to build tractors, an oil refinery and a chemical plant, and provide cheap oil. Senegal’s President Abdoulaye Wade “has gratefully accepted this bounty.” He paid four official visits to Iran – in 2003, 2006, 2008, and 2009. Several Iranian leaders visited Dakar during the same period, including President Ahmadinejad who has been a regular visitor since 2006. Under Wade, permission was given for an Iranian cleric to build a Shi’a seminary, or hawza, in Senegal, where Senegalese youth are educated by mullahs trained in Iranian institutions. These institutions converted a small, but not insignificant, number of Senegalese Muslims to Shiism. Most of Gambia’s small territory is located within the borders of Senegal. For its part, Senegal has been combating an insurgency in its southern region of Casamance led by the separatist Movement of Democratic Forces of Casamance (MDFC),a source of tensions between Gambia and Senegal. Senegalwas extremely worried about the Iranian arms shipment, fearing that given the Gambian President’s alleged relation with MDFC, the weapons could have ended up in the rebels’ hands. These fears were confirmed when the Senegalese found evidence that the MFDC were in possession of sophisticated Iranian weapons.Therefore, after a failed Turkish mediation, and in spite of the excellent relations of President Wade with Ahmadinejad, Senegal decided to definitely cut its diplomatic ties with Iran. Morocco and Iran have had a difficult relationship since the Iranian revolution in 1979 and normalized relations only in the late 1990s. Sunni scholars in Morocco have denounced what they say is an effort to convert people to Shia Islam. Morocco severed diplomatic relations with Iran accusing its diplomatic mission of seeking to spread Shia Islam in the predominantly Sunni Muslim kingdom, threatening “the religious unity of the country.” As Mohamed VI, Morocco’s king, is the country’s official religious leader, “any attempt to convert Sunni Muslims has been equated to an attack on the monarchy,” the Moroccan foreign ministry said. According to Israeli intelligence, “many foreign students, including [Shi’a students] from Uganda and other African countries, are sent to study theology in Iranian universities” as ameans of recruiting and training them as Hezbollah operatives or Iranian intelligence agents. In October 2003 Israeli intelligence thwarted an Iranian plot to kidnap Israeli businessmen and political leaders in Africa. Iranian intelligence targeted Israelis in Eritrea, Ethiopia, Kenya, Somalia and Tanzania. In February 2004, an Iranian diplomat was taken into custody by Nigerian police for spying on the Israeli embassy, the Nigerian Petroleum Corp towers, the British Council, and the Defense Ministry and Army headquarters in the capital of Abuja. The 2,000 members of the IRGC and the Quds Forces, which helped train Sudanese security forces at the beginning of the 1990s, also trained foreign Islamist fighters, as Khartoum permitted Tehran to use Sudan as a secure transit point and meeting site for Iranian based radical groups.According to the U.S. indictment of Osama bin-Laden, the Al-Qaeda leaders met with an Iranian religious official in Khartoum as part of an effort to arrange a tripartite agreement between Iran, Al-Qaeda andSudan’s ruling National Islamic Front (NIF) for putting aside ideological differences and work against the U.S., Israel and other Western countries. After the expulsion of Al-Qaeda elements from Sudan in 1996, this cooperation appears to have been ceased. Reports that Israel may have carried out an air attack on an Iranian weapons convoy in the Sudanese desert in January 2009 have drawn attention to an Iranian arms smuggling network to deliver weapons to Hamas in Gaza, in which Sudan is believed to be playing a key role. The weapons are transported with trucks across Sudan into the Sinai Peninsula, from where they are smuggled by Bedouins to Gaza through an underground tunnel network. Actually it was reported thatsince January 2009 Israel had conducted three military strikes against smugglers transporting Iranian weapons shipments destined for Hamas-controlled Gaza Strip, at the height of the fighting during the Israeli Cast Lead operation against Hamas terrorism in Gaza. According to SudanTribune.com, 39 people riding in 17 trucks were reportedly killed. Israel did not confirm or deny reports about the air attack. Hezbollah operates mainly in West Africa, where it has been operational since the early 1980s. Like in Latin America, most of Hezbollah’s infrastructure is based on local Lebanese Shia communities. Lebanese,mostly Shiite immigrants, first arrived in West Africa around the turn of the century. They came to dominate, produce and retail trade within a few decades and gained control of the lucrative diamonds market discovered in eastern Sierra Leone in 1930. “Lebanese merchants play a major role in the region’s economy today, particularly in the Ivory Coast (home to over 100,000 Lebanese), Senegal (roughly 20,000), and Sierra Leone (roughly 6,000 today; about 30,000 prior to the outbreak of civil war in 1991), and have developed strong ties with governing elites in all three countries.” Thus Hezbollah has found a natural constituency among the local Lebanese Shiite, in competition with the Shiite Lebanese Amal movement. 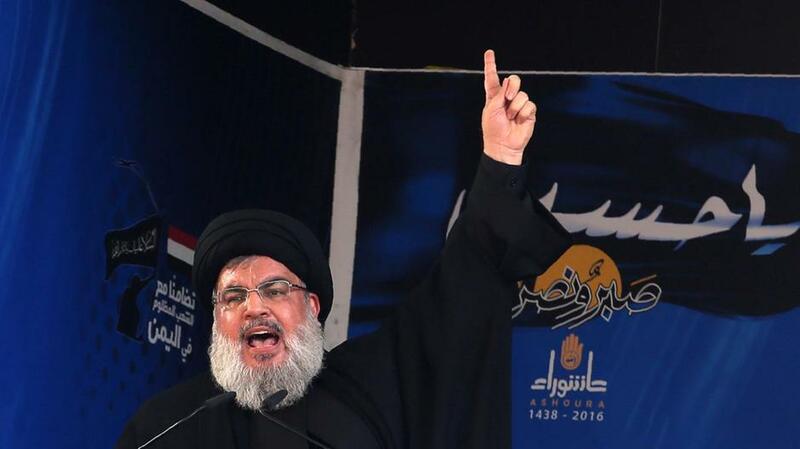 Hezbollah collects donations from businesses, recruits new members and launders money, operates front companies, and is also deeply involved in the “blood diamond” trade. In the diamond trade, Hezbollah operates in Sierra Leone, Liberia and the Democratic Republic of Congo. One example, which testifies of the successful money rising by Hezbollah in the region, is the accident of a flight from Cotonou, Benin, in West Africa to Beirut, which crashed on takeoff on December 25, 2003. 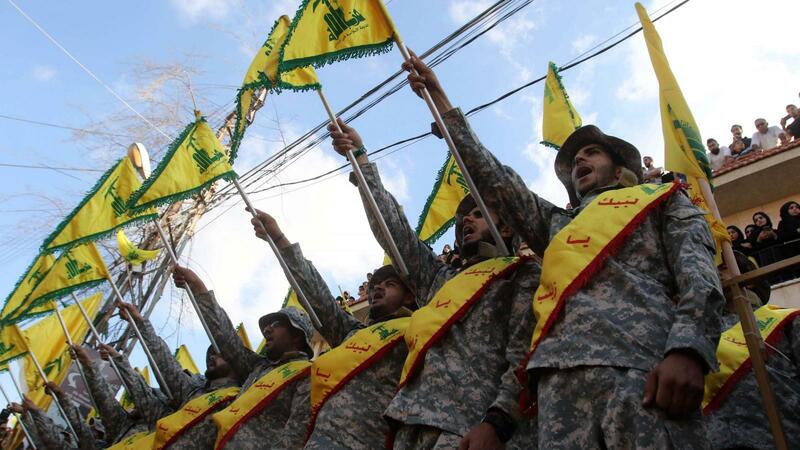 Onboard were senior Hezbollah members, carrying $2 million in contributions to the organization from across the region. This amount represented the regular contributions the party receives from wealthy Lebanese nationals in Guinea, Sierra Leone, Liberia, Benin, and other African states. According to U.S. intelligence officials Hezbollah“maintains several front companies in sub-Saharan Africa” which are assumed to include import-export companies. The same sources informed that many Hezbollah activists in the South America’s tri-border region relocated to Africa as a result of the investigations on Hezbollah activity after the group’s involvement in the 1992 and 1994 truck bombings in Buenos Aires, Argentina. In May 2009, the U.S. Department of the Treasury designated KassimTajideen and Abd Al MenhemQubaysi, “two Africa-based supporters of the Hizballah terrorist organization, under E.O. 13224, by freezing any assets the designees have under U.S. jurisdiction and prohibiting U.S. persons from engaging in any transactions with them.”KassimTajideen, who operates a network of businesses in Lebanon and Africa, has contributed tens of millions of dollars to Hizballah and has sent funds to Hizballah through his brother, a Hizballah commander in Lebanon. Tajideen and his brothers run cover companies for Hezbollah in Africa. Abd Al MenhemQubaysi is the personal representative of Hizballah Secretary General Hassan Nasrallah in Cote d’Ivoire, communicates with Hezbollah leaders and has hosted senior Hizballah officials traveling to Cote d’Ivoire to raise money for the organization. Qubaysi also helped establish an official Hizballah foundation in Cote d’Ivoire which has been used to recruit new members for Hizballah’s military ranks in Lebanon. In August 2009 Qubaysi, who was monitored by the Ivory Coast’s security service for his recruitment activity for Hezbollah, was expelled from the country but he returned there in 2010 possibly after pressures from the Lebanese ambassador. According to former DEA operations chief Michael Braun, Hezbollah is moving tons of cocaine into West Africa, onward to North Africa, and eventually into European markets. According to David Asher, an expert on global illicit financial networks, over the last five years, large sums of cash, often escorted by Hezbollah security guards, have been shipped from Africa to Lebanon. 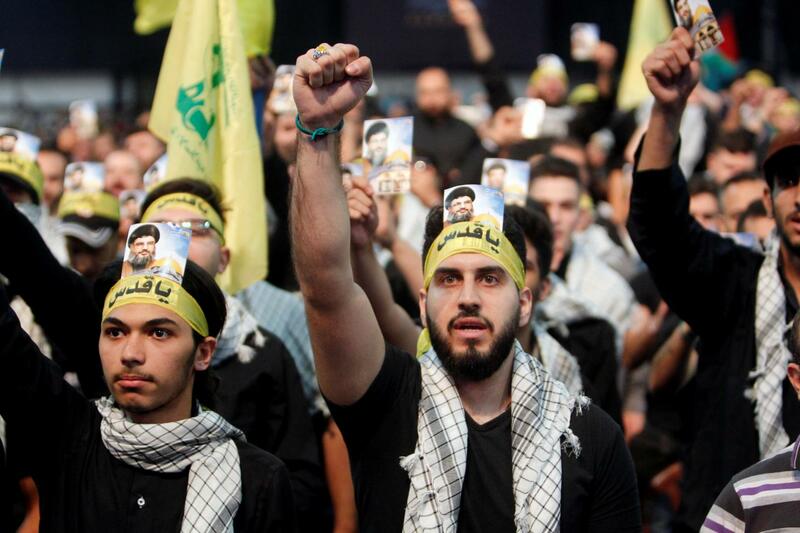 Contrary to the shadowy and controversial Hezbollah Venezuela, the “Nigerian Hezbollah”, actually called the Islamic Movement of Nigeria (IMN), is a much more representative and active organization. The IMN is most identified with its leader, Sheikh Ibrahim Zakzaky, who began his political career as a Sunni fundamentalist student leader influenced by the works of Sayyid Qutb, Egypt’s Muslim Brotherhood radical ideologue whose ideas lay the basis for Al-Qaeda’s ideology. Zakzaky’s aggressive Islamism led to his incarceration during the rule of military dictator SaniAbacha, earning him cult status among a section of the Muslim poor and oppressed. In the mid-1980s he decided to pass to Shiism and his movement has grown rapidly since he was embraced by Iran.Zakzaky’s opportunistic association with the Iranian regime was rewarded with substantial funds and training, both religious and military. His movement is operating in Nigeria’s northern Muslim states Kano, Kaduna, and Zaria. Zakzaky fights not only for the implementation of the Sharia law, already imposed in some Nigerian states, but demands that Nigeria abandons secularism and becomes an Islamic state modeled on Iran.According to expatriate former senior Iranian diplomat Adel Assadinia (who personally metZakzaky in the mid-1980s, while he was serving on the Iranian Parliament’s Foreign Affairs Committee), IMN is poised to strike Western interests on Iran’s behalf. According to Assadinia, Zakzaky was given money to create an organized and radical Islamic force in Nigeria as “Iran’s objectives are to establish a local power base to exert influence over the national government and to act against Western interests.” A report of the Nigerian Security Organization noted that the training received by Zakzaky in Iran included “planning and executing student unrest” with a view to overthrowing the Nigerian government. IMN’spopularity is growing among the impoverished Nigerian Muslims and it is challenging the country’s traditional Muslim leaders. In January 2009, Zakzaky’s followers plunged the northern city of Zaria into turmoil after attacking the motorcade of a reveredreligious and cultural leader, Emir of ZazzauAlhajiShehuIdris, on his way to a meeting on security in the city of Kaduna, at which the IMN was to be one of the subjects under discussion. The IMN’s main centers of operation are the northern universities: Ahmadu Bello University in Zaria, Bayero University in Kano and the Usmanu Dan Fodio University. Although the IMN commands the following of impoverished Nigerian Muslims, its leadership is exclusively comprised of graduates from these universities. Zakzaky’s views are radical and deliberately inflammatory. He claims Al-Qaeda and Osama bin-Laden do not exist and terrorist attacks in the West are the work of Western intelligence services, Tony Blair was responsible for the 7/7 bomb attacks in London and the U.S. and Israel are the only terrorist states in the world. He alleged that Nigeria’s secular leaders engaged in ritual sacrifices of unborn children ripped from their mothers’ wombs, asking his followers to fight them. The IMN has also been implicated in the decapitation of Christians for allegedly offending Islam. Despite Zakzaky’s plea for Muslim unity, Sunnis have been targeted during the IMN’s highly confrontational demonstrations. But Jews are the chief targets for attack, as Zakzaky portrays them as “dastardly infidels”, imploring Allah to “hasten their destruction in the world” and calling for Israel to be “wiped off the world map,” exactly like his Iranian masters. Zakzaky frequently draws inspiration from Hezbollah leader Hassan Nasrallah and the deceased Hamas leader Ahmed Yassin, whose portraits are carried at the front of every IMN march and demonstration, as can be seen in many pictures and videos of the movement on the Internet. Interestingly,Zakzaky claimed lately that “the current wave of attacks in the name of Boko Haram is a deliberate agenda to suppress Islamic resurgence in Nigeria, with special focus on the Islamic Movement in Nigeria.” According to him “a highly profile security report has clearly indicated the fear and apprehension of the so-called super powers on the current agitation for Islamic revival in Nigeria, that the country will eventually become Islamic, and in particular Shi’a Islam.”Boko Haram, whose name means “Western education is sacrilege” in the Hausa language,is a Sunni jihadist terrorist organization based in the northeast of Nigeria which by early 2012was responsible for over 900 deaths. Iranian and Hezbollah presence and activity in Africa, like the one in Latin America, goes beyond the legitimate political, economic, social and cultural levels and creeps into the dangerous area of terrorism and subversion, threatening not only outside actors and interests but the very stability of the host countries. The diplomatic and political crisis resulting from Iran’s involvement in the clandestine and illegal shipment of weapons to three West African states, Nigeria, Senegal and Gambia, are a clear example of this potential threat and should be taken in consideration by other African states where Iran is active. Iran’s political and economicassets in Africa strengthen the Tehran regime, permits it to circumvent UN sanctions and diminishes the possibility of UN-backed international diplomatic and economic pressure to convince it to renounce its nuclear project. Thus, indirectly at least, it enhances the threat of Iran’s nuclear hegemonic projection in the Middle East and beyond. 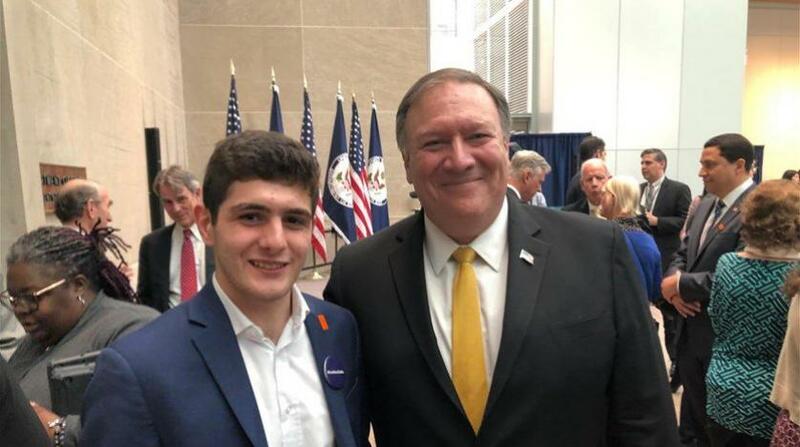 The Iranian and Hezbollah involvement in the January -February2012 terrorist attacks in Azerbaijan and Georgia, Thailand and India, is a bad omen for the future. In the event of Iran’s vital interests –such as the survival of its nuclear project– being threatened by the international community, by the US alone or by Israel, Africa could be a preferred ground for retaliation, directly or with Hezbollah’s support.The Islamic Movement of Nigeria, for the moment a violent movement but not yet terrorist, could be also tempted to imitate Boko Haram, its Sunni nemesis, and enter the field of terrorist activity in the service of Iran. ”Paraguay’s Persian Presence: Iran’s New Friend in Latin America,” Council on Hemispheric Affairs website, August 21, 2008, at http://www.coha.org/paraguay%E2%80%99s-persian-presence-iran%E2%80%99s-new-friend-in-latin-america/. See Ely Karmon,”Iran Challenges the United States in Its Backyard, in Latin America,”American Foreign Policy Interests, 32: 5, 276 — 296. Iran and Israel in Africa.A search for allies in a hostile world,” The Economist, February 4, 2010. “Iran Plans to Expand Relations with African Nations,” The Journal of Turkish Weekly, December 26. 2011. ”FM: Expansion of Ties with Africa ‘Iran’s Top Priority,'” FARS News Agency, January 3, 2012. “FM Renews Iran’s Preparedness to Foster Africa, Ethiopia’s Development,” FARS News, January 29, 2012. Chris Zambelis, “Iran deals itself into African game,” Asia Times Online, January 13, 2011. “In Search of a Foothold in Africa, Could the Iranian delegation’s attendance in the African Summit be a new chapter in Tehran’s African politics? Interview with Ja’farQannadbashi,” IRD Diplomacy website, January 21, 2012, at http://www.irdiplomacy.ir/en/news/20/bodyView/1897477/In.Search.of.a.Foothold.in.Africa.html. Tack, Iran’s diplomatic and economic lifeline in Africa. Opinion, “Iran: When mere existence is enough casus belli,” HarareThe Herald Online, January 7, 2012. Chris Zambelis, Iran deals itself into African game. Sudan Tribune, November 30, 2008; http://ww.selfi-democracy.com, November 25, 2008; http://www.Eritreadaily.net, November 29, 2008, cited by MEMRI at http://www.thememriblog.org/blog_personal/en/11759.htm. Anna Mahjar-Barducci, “Iran Scooping Up African Uranium,” Stonegate Institute, October 7, 2011. FARS News Agency, December 25, 2011. Mahjar-Barducci, Iran Scooping Up African Uranium. “Sudan the pivot of Iran-Africa relations: defense minister,” Tehran Times, March 6, 2008. Ariel Farrar-Wellman, “Sudan-Iran Foreign Relations,”AEI Iran Tracker, January 17, 2010. “Iran ‘Could Share Nuclear Skills,’” BBC News, April 25, 2006. “Sudan Supports Iran’s Right to Get Access to Peaceful Nuclear Energy,” News.Az, December 12, 2009, http://www.news.az/articles/4473 (January 5, 2010). “Sudan Needs Further Attention,” Interview with Amir Ziadzadeh, an African affairs expert, Iranian Diplomacy website, 28 September 2011, at http://www.irdiplomacy.ir/en/news/68/bodyView/16613/Sudan.Needs.Further.Attention.html. Anna Mahjar-Barducci, “Iran’s Charm Offensive in Africa,” Stonegate Institute, March 18, 2011. Anna Mahjar-Barducci, Iran’s Charm Offensive in Africa. See J.Peter Pham, “Shi’a in Senegal: Iran’s Growing Reach into Africa,” FamilySecurityMatters.org, February 18, 2010, at: http://www.familysecuritymatters.org/publications/id.5541/pub_detail.asp. Peter Pham presents an interesting picture of the Shia and Iranian religious activities in Senegal since 1978. The Economist, Iran and Israel in Africa. J.Peter Pham, Shi’a in Senegal: Iran’s Growing Reach into Africa. Michael Rubin, “Iran’s Global Ambition,” AEI Middle East Outlook Series, March 1, 2008. “Morocco severs relations with Iran,” Al Jazeera, March 8, 2009. “Iranian State Sponsorship of Terror: Threatening U.S. Security, Global Stability, and Regional Peace,” Testimony of Matthew A. Levitt, Joint Hearing of the Committee on International Relations Subcommittee on the Middle East and Central Asia, and the Subcommittee on International Terrorism and Nonproliferation United States House of Representatives, February 16, 2005. Ronald Sandee, Paper titled ‘Islamism, Jihadism and Terrorism in Sudan’ presented at the American Enterprise Institute on 6 August 2004, at http://www.aei.org/files/2004/08/06/20040809_SANDEEremarks.pdf. Alisha Ryu, “Alleged Israeli Attack Draws Attention to Sudan’s Ties to Iran,”VOA, 04/02/09. Michael James, “Exclusive: Three Israeli Airstrikes against Sudan,” ABC News, March 27, 2009. Jonathan Schanzer, “The Islamic Republic of Sudan?”ForeignPolicy.com, June 10, 2010. MEIB staff, “Hezbollah and the West African Diamond Trade,” Middle East Intelligence Bulletin, Vol. 6 No. 6-7, June/July 2004. Douglas Farah, “Fighting Terrorism in Africa” Testimony beforethe House Committee on International Relations Subcommittee on Africa, April 1, 2004. Matthew Levitt, “Hizbullah’s African Activities Remain Undisrupted,”RUSI/Jane’s Homeland Security and Resilience Monitor, 1 March 2004. “Treasury Targets Hizballah Network in Africa,” U.S. Department of the Treasury website, May 27, 2009, at http://www.treasury.gov/press-center/press-releases/Pages/tg149.aspx. “Party of Fraud: Hizballah’s Criminal Enterprises,” PolicyWatch #1911: Special Forum Report Featuring Michael Braun, David Asher, and Matthew Levitt, The Washington Institute for Near East Policy, March 22, 2012. About Hezbollah Venezuela see Ely Karmon, “Hezbollah America Latina: Strange Group or Real Threat?” Institute for Counter-Terrorism website, November14, 2006, at http://www.freerepublic.com/focus/f-news/1773483/posts. This subchapter is based in great part on Dan Brett, “Profile of an African Hezbollah,” MESI Issue of the Week, January 25, 2009. The paper is based on an interview with former senior Iranian diplomat Adel Assadinia, who served as Iran’s Consul General in Dubai from 2000 and 2003, served two terms in the Iranian parliament as representative of Ahwaz, holding the post of Deputy Chairman of the Parliament’s Foreign Relations Committee from 1982. He left parliament to become Iran’s ambassador to Portugal in 1990 and advisor to the Minister of Foreign Affairs in 1993. See IMN’s website at http://www.islamicmovement.org/. Dan Brett, Profile of an African Hezbollah. Jonny Paul, Islamic Movement preacher to address London conference, The Jerusalem Post, October 6, 2010. See the pictures of the meetings at http://www.islamicmovement.org/index.php?option=com_content&view=article&id=300:more-pictures-of-sheikhzakzakys-visit-to-scholars&catid=41:frontpage. “Iranian Cleric HaeriShirazi: Don’t Arrest the Protesters; Kill Them!” Payvand Iran News, January 1, 2010. “African Shia Cleric: Boko Haram attrocity is a conspiracy against Islamic resurgence in Nigeria,” AhlulBayt News Agency, February 8, 2012.